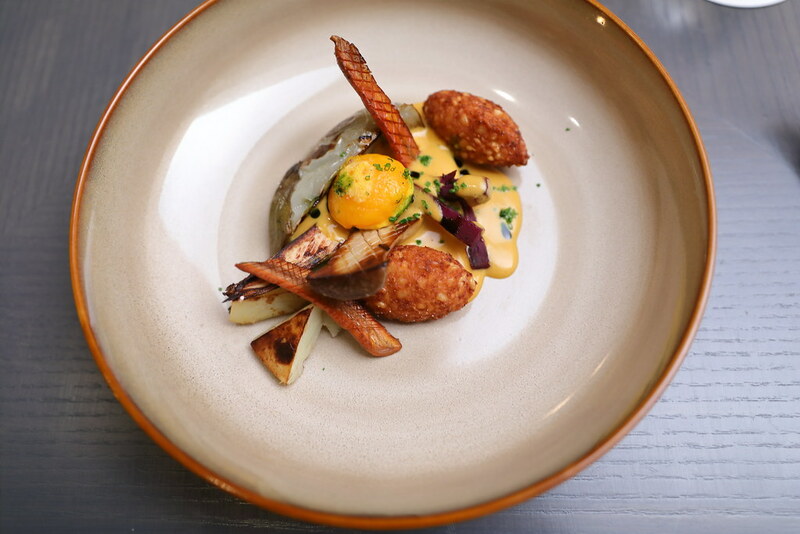 The last time I tried Chef Ivan Brehm's food was when he was at Bacchanalia, Coleman Street back in 2013. I was really impressed by his cooking and philosophy of using Asian ingredients to reinvent classic dishes. Not to forget he led The Kitchen at Bacchanalia to 1 Michelin Star in 2016. 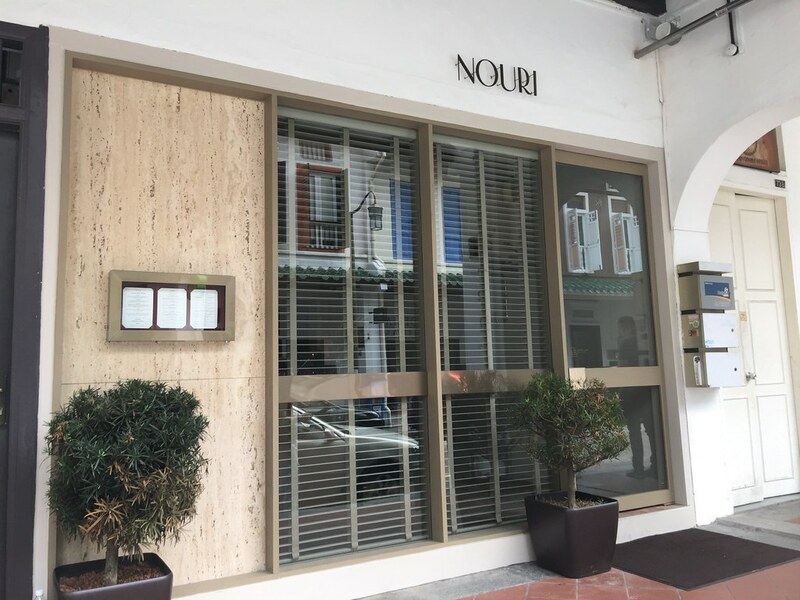 When Daniel asked me whether I was interested to check out Chef Ivan's new restaurant - Nouri at Amoy Street, I could not resist the lunch invitation. We actually wanted to try the 5-course Omakase lunch menu ($85) but it was not available during our visit which is a Monday. Hence we have to settle for the "Teishoku" style a la carte menu. 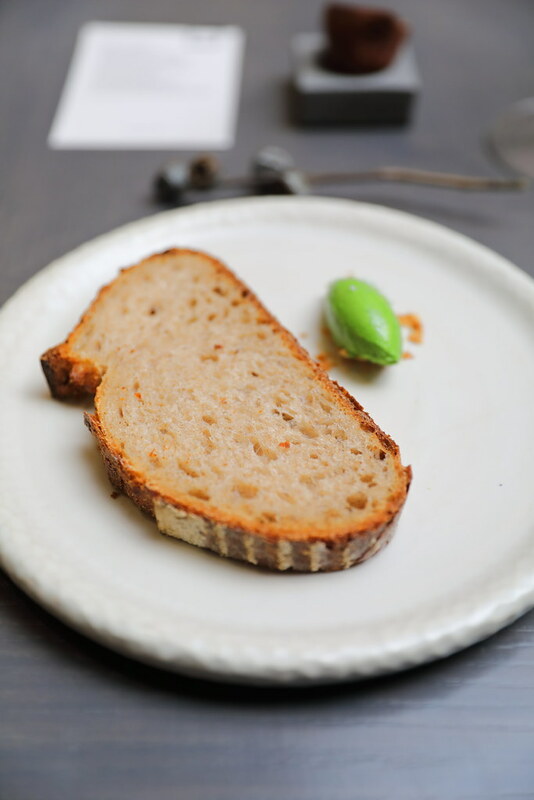 Our lunch started with the complimentary Sour Dough with Basil Butter. Love the basil butter, it went so well with the sour dough. I decided to go for the Steak ($42) using Ranger's Valley grass fed wagyu rump-cap. The beautiful piece of pinkish meat is dressed in a buah keluak A1 bone marrow sauce and topped with pickled onion. 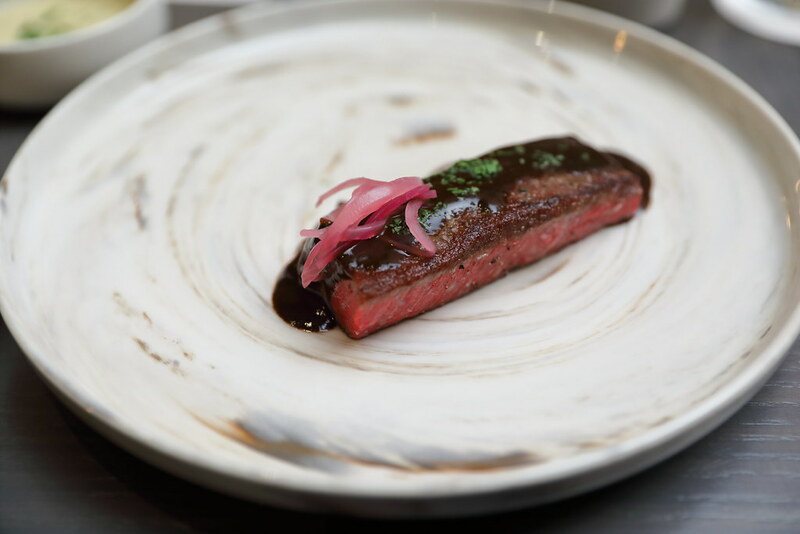 Chef Ivan's philosophy can be seen in the used of buah keluak sauce for the steak. While the rich sauce worked well with the beef, I could not detect the distinct flavour of the buah keluak. I thought the pickled onion was very thoughtful to balance the richness of the sauce. Daniel had the Vegetable ($28), a vegetarian dish on the menu which comes with chewy egg yolk, rice crispy, pickled and fresh Hatiku tomato with vegetable turmeric and coconut curry. Once again, we can see the chef's interplay of Asian ingredients. It definitely has brought excitement to a plate of vegetables. Surprisingly this is my favourite out of the 3 mains we tried. 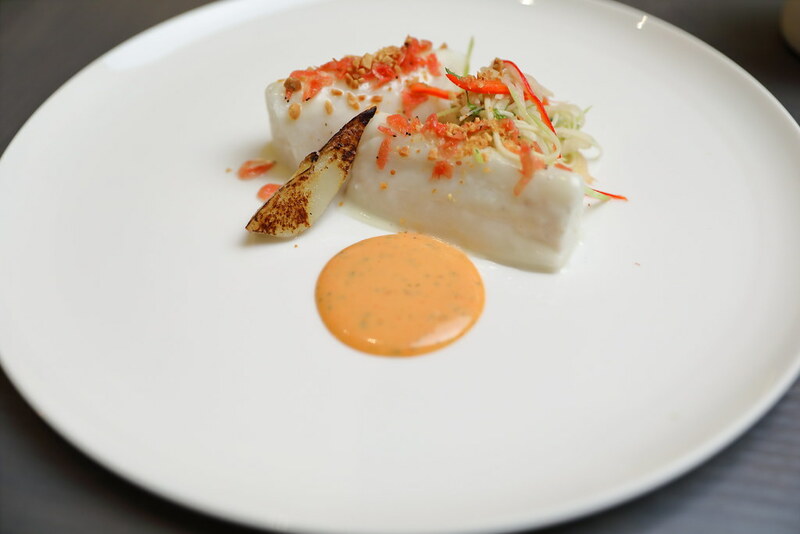 Our friend has the Fish ($40) which uses Raymond's grouper and comes with coconut and sweet potato mash, topped with green mango salad. Love all the components on the plate except for the green mango salad. I thought it lacked the spicy and tangy punch of a typical Thai salad. A surprise at the end of the meal is the complimentary dessert. The plated dessert comes with 48 hours camaralized banana, calamansi jelly, bread crumb and vanilla ice cream. This is definitely the icing on the cake for my lunch experience at Nouri. 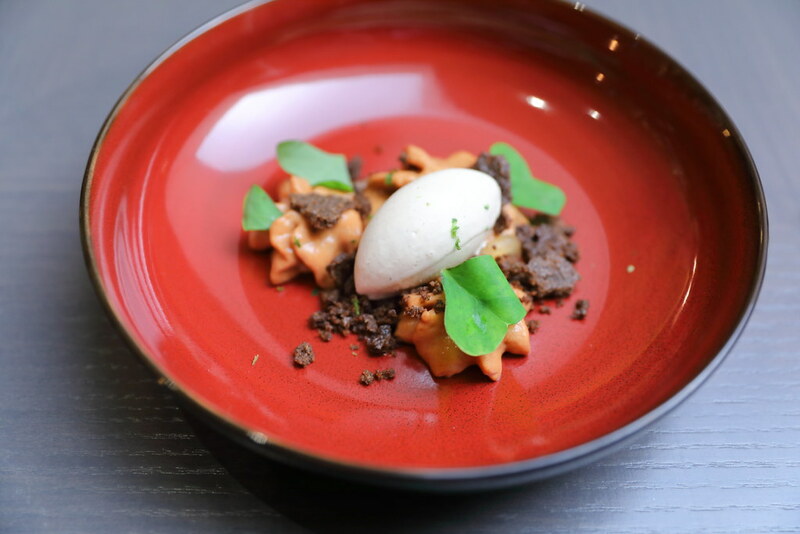 Nouri by Chef Ivan Brehm is definitely an exciting new restaurant to look out for. 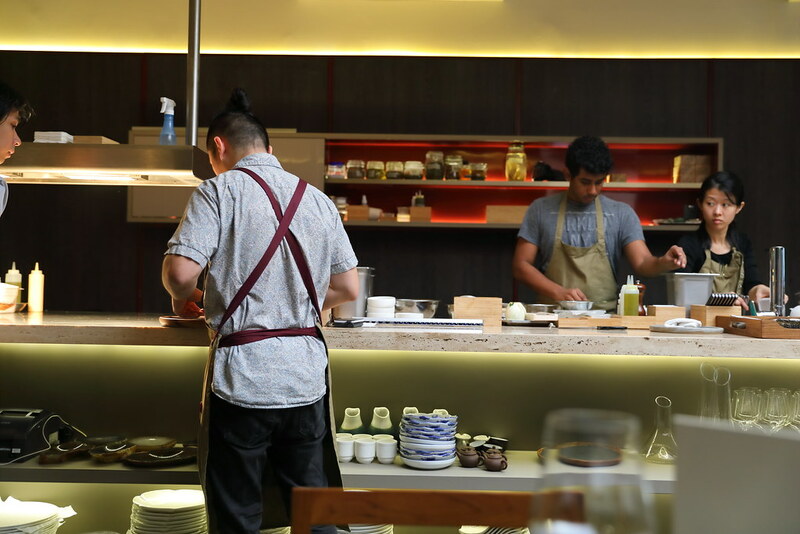 The new restaurant may not be there yet for the Michelin Guide Singapore 2017, I think it was the potential to get a star in the next edition in 2018.